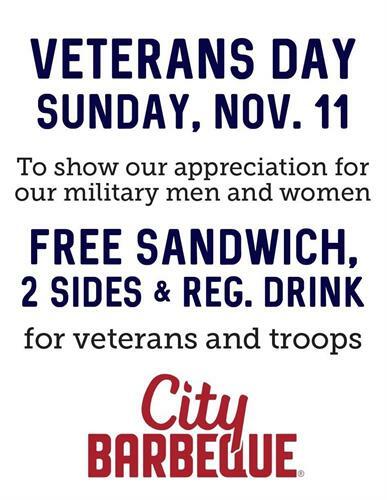 To show our appreciation for our military men and women, Veterans and troops will receive a FREE SANDWICH, 2 SIDES AND REG. DRINK on Sunday, Nov. 11th. Thank you for your service to our great nation!